2018 witnessed two of the NHL’s best teams represent the Central Division in the Stanley Cup Playoffs, and the bar is set just as high for all seven clubs as October approaches. The 2018 Presidents’ Trophy belonged to the Nashville Predators, while the Winnipeg Jets took flight and advanced to the Western Conference Final for the first time in franchise history. The Chicago Blackhawks failed to make an appearance in the playoffs for the first time since 2008, but the Colorado Avalanche shocked the hockey world when the team clinched a Wild Card spot in the division. Prepare yourself for another wild campaign in the overly competitive Central Division. 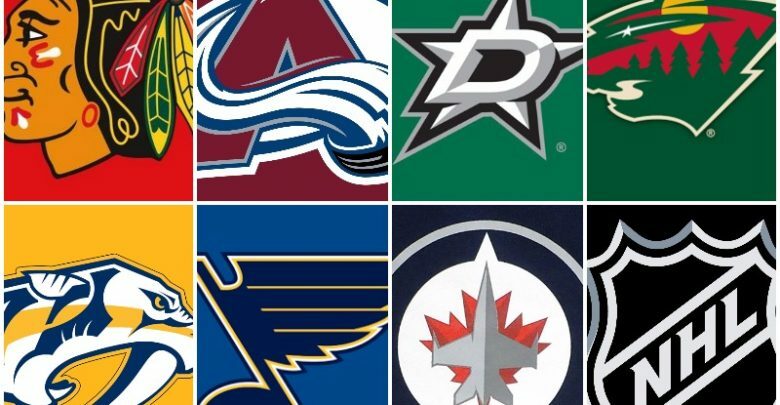 HOHM predicts the NHL’s Central Division standings for 2018-19. Yes, it’s possible for the Chicago Blackhawks to finish last in the Central Division back-to-back seasons. A handful of other teams in the division have been building a legitimate playoff contending teams to take down the Hawks for years in the making, and the time has finally arrived for the Windy City to overhaul its roster. Sure, having goaltender Corey Crawford go down for a majority of the season due to concussion problems didn’t help matters, but the Blackhawks also scored fewer goals than in recent memory with 229. Keep in mind Chicago finished the season with a goal differential of minus 27 and was the only team in the division that didn’t have a plus goal differential. The newly acquired netminder, Cam Ward, should improve the team’s overall performance between the pipes; but don’t expect the former Conn Smythe Trophy winner (2006) to lead the Hawks back to a division title. Jonathan Toews looked frustrated all last season and finished the campaign with a career low season (20G-32A – 52PTS). Yes, Chicago’ roster is younger than in years past only having five skaters at the age of 30 or older (excluding goaltenders), but the team will experience another growing pain season leaving fans confused and disappointed. The Minnesota Wild have only won the Central Division once (2008) since joining the league back in 2000-01, and typically find themselves stuck in the middle of the pack at season’s end. Last season, Minnesota finished in third place for the Central with 101 points (45-26-11) and the State of Hockey was clearly more successful on home ice while posting a 27-6-8 record. Still, an impressive 27 wins on home ice was just good enough for fourth best in the division. Though, after a string of solid seasons, expect the Wild to take a step back in 2019 and finish near the bottom of the division’s standings. It’s fair to say that the Wild struggled against indivision opponents last season (13-12-1), and entering 2019 teams such as the St. Louis Blues and Dallas Stars should finish higher than in 2018. No, the Wild aren’t a bad team by any means, but it’s tough to imagine Minnesota being able to compete with a competitive division that also pays homage to two of the league’s favorites to reach the 2019 Stanley Cup Final (Winnipeg & Nashville). Special teams should also factor into the Wild’s decline in 2019. The Wild finished with a below-to-average power play and penalty kill rankings last season, and moving forward that won’t cut it in the Central. It will be interesting to see if a change is mad behind the bench with Bruce Boudreau, especially if the team is struggling come December. Last season the Colorado Avalanche shocked, everyone. The Avs were expected to finish at the bottom of the division and the team clinched a playoff berth in commendable and Cinderella Story-like fashion. Forward Nathan MacKinnon proved that he was capable of taking his game to a whole another level and ink his name in the same conversation with skaters such as Connor McDavid, Sidney Crosby and Alex Ovechkin. Yes, 2018 Hart Memorial Trophy nominee was that good last season. There’s no slowing down for MacKinnon and company, either. The Avs clearly have promising potential with the likes of Mikko Rantanen, Gabriel Landeskog, Tyson Barrie and Alexander Kerfoot. What’s even more intriguing about all of those skaters mentioned above is that they’re all under the age of 30; in fact, the oldest is 26-year-old (Barrie). Yes, the Avalanche were average against their divisional opponents (13-10-3), but Colorado still managed to collect 43 wins and more than 40 for the first time since 2011-12. Let’s not forget that Colorado improved its depth between the pipes when the Avs acquired goaltender Philipp Grubauer from the Washington Capitals this past offseason. Grubauer, 26, is set to become an everyday starting netminder and also has Stanley Cup Playoff experience to offer to an up and coming Avalanche squad. Positions three, four and five are going to be a tight race in the Central Division, and while the Avalanche will finish in fifth place they won’t land far behind the team that finishes in third. For a handful of seasons now, the Dallas Stars have always been in the conversation as a team that could really advance as far as the Stanley Cup Final. However, Dallas hasn’t reached the Cup Final since 1999-00. It’s essentially now or never in the Lone Star State for Tyler Seguin and company. Yes, the Stars will more than likely clinch a berth in the Stanley Cup Playoffs; however, the team will still finish in fourth place and clinch a Wild Card spot. It’s not the worst thing in the world to have Dallas enter the postseason as an underdog, and it should take some pressure of a number of skaters that also includes goaltender Ben Bishop. Bishop wasn’t his best last season, but expect the American born netminder to have a bounce-back season and potentially take the Stars on a deep run into the playoffs. Dallas improved its offense with the return of Valeri Nichushkin (KHL), and the addition of veteran forward Blake Comeau offers the necessary depth the Stars will need to compete in the Central and beyond. Seguin and Jamie Benn are still two of the league’s best offensive threats, but perhaps Dallas is still one star-caliber skater away from getting over the hump and winning their second Stanley Cup in team history. Either way, Dallas finishes in fourth. This may come as a surprise, but expect the Nashville Predators to lose a close battle for first and second place and finish in third for the Central Division. Yes, the Preds finished with the league’s best overall record last season, but it’s hard to imagine the Music City recording another campaign that successful. This isn’t to say that the Predators’ chances to win their first Stanley Cup slip, but perhaps finishing in third place will act as a blessing in disguise for defenseman P.K. Subban and company. There’s no denying how good Nashville’s play in all areas on the ice was last season, and let’s not forget that goaltender Pekka Rinne finally won a Vezina Trophy and had a career season at the age of 35. Rinne showed no signs of declining and the Preds’ defense in front of him is arguably the most dynamic in the league. Nashville’s blue line combined for over 50 goals last season, which is eye-opening in itself in addition to how defensively sound they are. Keep in mind that the Predators also had six skaters that recorded 50 or more points in 2018, and not one of those skaters were over the age of 30. Expect the St. Louis Blues to potentially exceed expectations this season and compete for a divisional title en-route to another berth in the Stanley Cup Playoffs. The Blues’ front office acquired a number of necessary assets to not only boost the team’s depth, but to add star-power to the fold. Superstar caliber skaters are a necessity for a team to win a championship in today’s NHL, and perhaps that was something missing from years pasts in St. Louis. The Blues acquired forward Ryan O’Reilly from the Buffalo Sabres, and the power forward notched 15 power-play goals onto his belt last season which stood for third most last season (tied). St. Louis added center Tyler Bozak to solidify the team’s two-way depth on the checking-line, and also reacquired David Perron who is fresh off of a 60-point season with the Vegas Golden Knights. The big question has been if Jake Allen can withstand a full season a deep run into the playoffs as both a reliable and consistent goaltender. Allen, 28, is still growing into a top goaltender, and his struggles and exposure are positive for him moving forward. Let’s not forget that the former second-round draft pick (2008) has recorded the third most wins by a goaltender in Blues’ history (117) and is within reach this season of passing Curtis Joseph for second all-time (137). The time is now for the Blues to advance as far as the Stanley Cup Final. Expect Vladimir Tarasenko to potentially win the NHL’s Maurice Richard Trophy as the league’s leading goal-scorer. He and O’Reilly may both finish the campaign with double-digit power-play goals, too. The Winnipeg Jets last season gave the league a sneak peek of what’s to come in 2019; more than likely a division title; a deep run in the Stanley Cup Playoffs; a deep and dynamic roster; and a potential Stanley Cup championship. Winnipeg is fresh off of its best season in franchise history (52-20-10 – 114PTS) and the Jets finished with a league-best 32-7-2 record on home ice. The Jets’ power play (23.4 percent) and penalty kill (81.8 percent) both finished in the top 10 for 2018, and Winnipeg’s roster entailed four skaters that recorded 60 or more points. That also included Blake Wheeler who found the back of the net 23 times and tallied 68 assists for 91 total points. Similar to other projected division champions and Stanley Cup contender, the Jets have an uncanny mix of youthful assets and veteran experience in all areas on the ice; especially down the middle. The youngster between the pipes in Connor Hellebuyck wasted no time transforming into one of the league’s best goaltenders, after he was nominated for the 2018 Vezina Trophy, and Patrik Laine and Mark Scheifele proved that they’re a potential tandem that could be comparable to Sidney Crosby and Evgeni Malkin in due time. Let’s not forget about Kyle Connor who netted 31 goals as a 21-year-old in just his first full season. Dustin Byfuglien and Tyler Myers solidify the team’s blue line both offensively and defensively, plus Jacob Trouba and Dmitry Kulikov offer depth to take pressure off of Byfuglien and Meyers. Let’s just leave it at this, the NHL Canadian club that breaks the curse of a team North of the Border not winning a Stanley Cup since the 1993 Montreal Canadiens would be the league’s youngest (shortest tenured) Canadian team out of the seven.